The Serbian president’s aircraft, en route to the Vatican, was forced to return to Belgrade because the co-pilot spilled coffee on the instrument panel, it has been revealed. New details of the incident which sent the plane in a two-minute plunge on Friday and caused panic among passengers have been brought to light in a newly-released report by Serbia's Civil Aviation Directorate. It turns out that the co-pilot, Bojan Zoric, caused the problem with his beverage spillage. "I began wiping the board and accidentally activated the 'emergency slat' button, which automatically turned off the automatic pilot and the plane began losing altitude,” Zoric said in the report, cited by Reuters. The situation was further aggravated by a shutdown of one of the engines. The engine was luckily quickly reinitiated and the pilots “regained control over the aircraft." The plane landed safely back in Belgrade. But Serbian President Tomislav Nikolic, who was supposed to meet Pope Francis, had to cancel his visit. Presidential advisers were emotional in describing the ordeal on board the troubled presidential plane. “We fell for a whole two minutes; it lasted for what seemed like an eternity. We were literally being thrown around the cabin," she told Reuters. “We survived a real drama in the air landed unhurt in Belgrade thanks only to the incredible composure and skill of the pilot and co-pilot," Ivan Mrkic, another adviser who was also on the plane said. Presidential advisors said Nikolic will use only commercial flights from now on, AP reported. 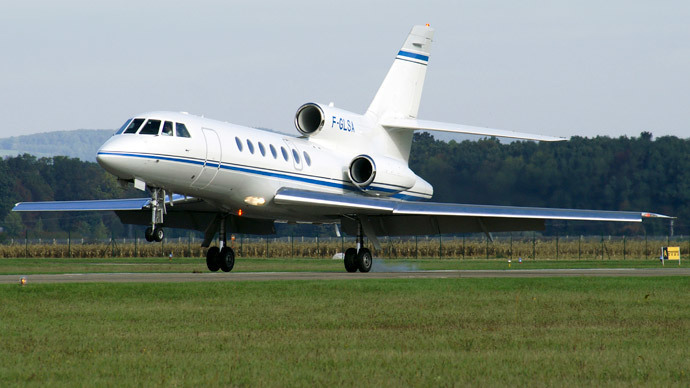 Before the release of the aviation authorities’ report, the blame was laid upon the “engine failure” of an ageing government Falcon 50 that is already 34 years old. The aviation authorities also sent the plane for a check after the incident, but that test flight was not performed due to inability to start the engine that had malfunctioned in the air during the incident. Eventually, the unfortunate plane was sent to Basel, Switzerland, "for additional checks."